Aquastar Cleaning Services makes it easy to give that special someone just the right gift. With our Aquastar Cleaning Services house cleaning gift card, you can give a friend or family member some time off from house cleaning to enjoy themselves. These gift cards are perfect gifts for someone buying a new home, having a new baby, for someone's retirement or a job change. Any special holiday - national or personal will do. We know that you want your gift to help the recipient check-off house cleaning from her to-do's. Because we take into account many factors when pricing a home, including the individuality of the people who live there, where in the country the person lives and the size of the home, it's very difficult to tell you exactly how much to spend on a gift for house cleaning. For a personalized estimate, please contact the office that serves the recipient's community through our Aquastar Cleaning Service Service Area Page. 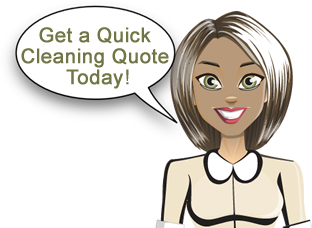 Beginning cleaning service is simple. After receiving one of our gift cards, the recipient just contacts our local Aquastar Cleaning Services office to schedule service. The local staff will then discuss with the gift card owner the amount of service that the card will cover.